Harley XR 750 racing Tach, originally made by Smiths in England. Sold as is for spares or repair as I put a drill in the drive and it does not spin.Feel free to ask any questions. 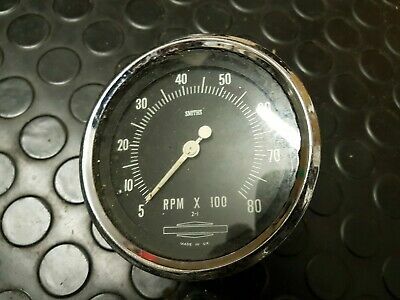 This Harley Xr750 Smiths Tachometer (spares Or Repair) is located in Cheltenham, GL52 8EG and is being sold on eBay by hdracing1.